Celebration of Life showcases distinctive Israeli music and heroic stories of strength, determination and triumph. This year we were honored with the presence of four remarkable heroes: Brig. Gen. (Res.) Avigdor Kahalani, Itzik Dadush, Tzachi Berkovitch and Susana Semenduev. During three sold-out concerts held in Calgary, Montreal and Toronto (June 10-14, 2018), the audiences listened with great interest to the veterans’ most inspirational stories, accompanied by dynamic musical talent on stage. In the picture [right to left]: disabled veteran Brig. Gen. (Res.) 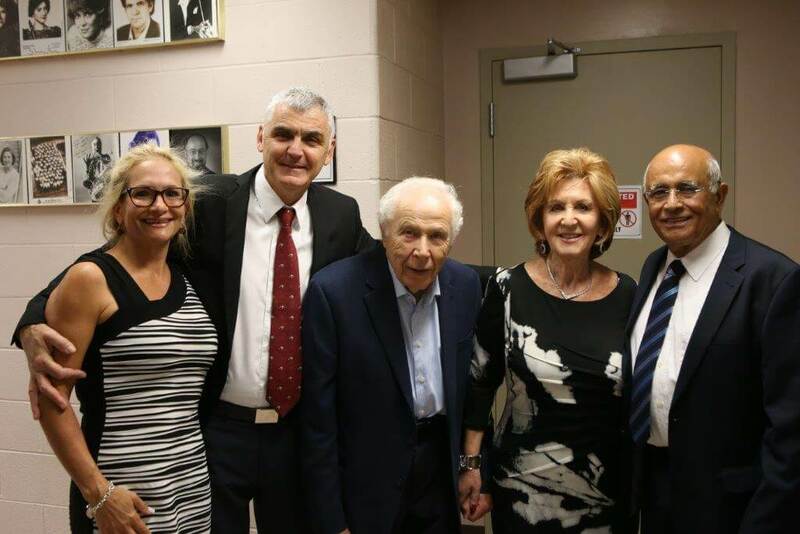 Avigdor Kahalani, Toby Feldberg (President of Beit Halochem Canada), Saul Feldberg, Dr Moshe Shemma (Executive-Director of the Zahal Disabled Veterans Fund), Lisa Levy (National Executive-Director, Beit Halochem Canada). By hosting visits of individuals and delegations, creating personal encounters with disabled veterans, both in Israel and overseas. Work with existing Friends Organizations the world over for the benefit of our cause and creating new ones. Serve as the fundraising branch of the ZDVO to support all rehabilitation programs and projects for the benefit of its members. Educating through all available marketing channels.